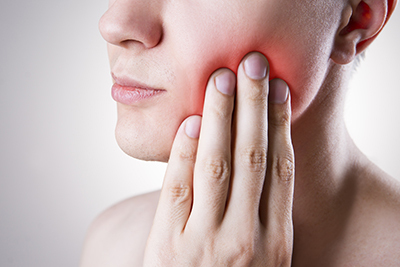 Temporo mandibular joint (TMJ) and occlusal (bite) misalignment can cause many and varied symptoms. These include pain in the face, jaw joints, teeth sensitivity and clenching. Many people suffer headaches that can be effectively treated with the fabrication of an occlusal appliance that when worn at night reduces muscle tension and reduces all presenting symptoms. What is TMJD (temporomandibular joint disorder)? The symptoms of TMJD can vary, which makes it harder to diagnose. Commonly, people with this problem will experience pain when they yawn, chew, or open their mouth wide. They may even hear a click or pop as they open and close the mouth. Other symptoms include tender muscles around the jaw, difficulty in opening the mouth (or not being able to at all), and jaw locking. TMJ disorder can even cause headaches, earaches and neck pain. All of these symptoms come from some kind of breakdown within the joint that can be caused by a number of reasons. For example, arthritis can create joint problems, and some kind of physical event (such as a sports injury) can also create issues. You may even be creating the TMJD unwittingly through oral habits such as clenching and grinding your teeth. In some cases, your bite or the shape of your teeth may be to blame, as they can sit incorrectly within the mouth and cause pain or problems. It’s more common for women to experience TMJD than men, and young people are typically more at risk than children or seniors. Estimates suggest that roughly 20 per cent of the population may suffer from TMJD at some point in life. Depending on the cause of the joint problem, pain may last anywhere from a few weeks to several years. This appliance is designed to “deprogram” the muscles controlling jaw position. This is achieved by having a bite situation that has no set place where the teeth mesh. As the brain realizes there are no interferences in the bite, it automatically allows the jaw muscles to relax. As these muscles relax so to can their antagonistic (opposite acting) muscles relax at the same time. A lot of these are in the back of the neck, these often cause neck pain and so called tension headaches. These presenting symptoms often fade very quickly as the appliance is worn. It can be used at the onset of headaches and neck pain to prevent them intensifying. It’s important to note: this is a night time appliance only. As this appliance has no back teeth contact it is not to be worn continuously as these teeth could change position and bite. At night 2-3 times a week is fine. To clean the appliance toothpaste and brushing is fine. If you suffer from headaches and symptoms of TMJ, please visit our practice for an assessment and to discuss treatment options with our professional team.